The Polisario has never been as closer to implosion as it is at present and the situation is getting worse since the separatist Front is losing its major allies in Africa, including Algeria, Nigeria and South Africa which are all at grips with the fallouts of oil prices collapse. After some European countries, including France, Spain and, to a lesser extent, Italy reduced or downright suspended their humanitarian assistance to the Polisario-run Tindouf camps following the scandalous diversions of this assistance by Polisario and Algerian leaders, other traditional supporters of the separatist front, affected by the fall of oil and gas prices, followed suit. 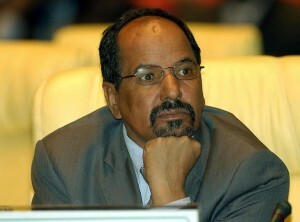 Actually in addition to Algeria, the Sahrawi separatists’ staunchest supporter, an increasing number of African countries, challenged by their own problems, started distancing themselves from the Polisario and cutting down their aid that was anyways often diverted to supply the Polisario leaders’ secret bank accounts. In Algeria, the Polisario lost precious support after the reshuffle operated at the head of the military intelligence services (DRS) and the dismissal of the DRS long serving chief General Mohamed Lamine Mediène, aka Toufik and his deputy General Abdelkader Ouarabi, aka Hassan. Consequently, the Polisario can no longer rely on the army for its protection and for replenishing its coffers. Only some civilian organizations such as the Algerian Red Crescent still extend some subsidiary aid to the Tindouf camps Sahrawis. As recently as Wednesday, Morocco scored points at the diplomatic level after the Polisario delegation was excluded from all the meetings of the 2nd Forum on China-Africa Cooperation (FOCAC) held in Johannesburg, South Africa, December 3 to 5. Beijing actually extended invitations to attend the forum only to the states with which it has diplomatic relations, and this is not the case of “SADR,” a puppet entity created out of nothing by the Algerian and Libyan regimes during the cold war era. Few days earlier, a Polisario delegation that made the trip to Johannesburg to attend the 7th Africities Summit and Exhibition found itself in an absolutely ridiculous situation as its stand was placed in the midst of WCs by the organizing company. The delegation, feeling offended, rushed to the airport to go back to Algeria and South African authorities did nothing to hold them back. Elsewhere, in Nigeria, the new authorities, led by President Muhammadu Buhari, have stopped providing assistance to the Polisario separatist entity and no longer bring up the issue in Nigerian official forums. In a nuthshell, the Polisario leadership finds itself in total isolation, a situation that is likely to aggravate its troubles with the Tindouf camps populations stranded in the Algerian desert.